Random House Trade Paperbacks, 9780812977110, 144pp. After a riotous debut collection, Ant Farm, Simon Rich returns to mine more comedy from our hopelessly terrifying world. In the nostalgic opening chapter, Rich recalls his fear of the Tooth Fairy (“Is there a face fairy?”) and his initial reaction to the “Got-your-nose” game (“Please just kill me. Better to die than to live the rest of my life as a monster”). He gets inside the heads of two firehouse Dalmatians who can’t understand their masters’ compulsion to drive off to horrible fires every day (“What the hell is wrong with these people?”). And in the final chapter, he tackles one of life’s biggest questions: Does God really have a plan for us? Yes, it turns out. 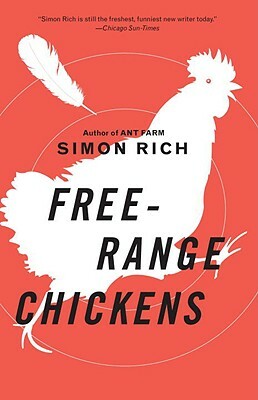 Now if only He could remember what it was. . . .
Simon Rich is the author of Ant Farm. He is a twenty-three-year-old graduate of Harvard University, where he was president of The Harvard Lampoon. He currently writes for Saturday Night Live and lives in New York City.